An undated photo provided by the New York City Police Department of 8-year-old Leiby Kletzky. A New York man was sentenced to 40 years to life in prison on Wednesday, after he admitted to kidnapping and murdering an 8-year-old Brooklyn boy, Leiby Kletzky. Levi Aron, 36, pleaded guilty on Aug. 9 to the grisly murder of Kletzky. The boy went missing July 11, 2011, while walking home alone from religious camp in Brooklyn and his body was found two days later, Reuters reported. Aron will serve 25 years for murder, followed by 15 for kidnapping. In court on Wednesday, Aron said only one word, "no," when asked by the judge if he had anything to say about the killing. Prosecutor Julie Rendelman read a letter from the Kletzky family, which they wrote prior to the killer's admission of guilt earlier this month: "God gives us the strength to overcome these challenges," they wrote. "There is no way one can comprehend or understand the pain of losing a child." The letter goes on to say, "We close the door on this one aspect of our tragedy...may our son's soul rest in peace." The judge granted a request from Aron's attorneys for protective custody in prison. 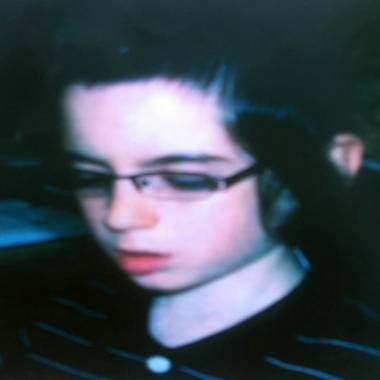 Aron, a hardware store clerk, kidnapped and took Kletzky to Monsey, N.Y., last July, NBCNewYork.com reported. After seeing missing child fliers of the boy, Aron said he panicked and suffocated him. In Aron's freezer, detectives later found the boy's severed feet wrapped in plastic, while a cutting board and three bloody carving knives were found in the refrigerator. About a mile from Aron's apartment, the rest of Kletzy's body was found in bags inside a red suitcase in a trash bin, NBCNewYork.com reported. The Associated Press, Reuters and WNBC's Andrew Siff contributed to this report.